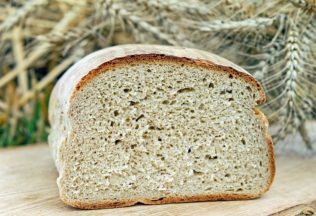 Coeliac disease may be trigged by exposure to an otherwise harmless virus that causes no other symptoms says new research. Published in the 7 April 2017 edition of Science journal, researchers from the United States said their findings could one day lead to a vaccine that helps protect against coeliac disease. “This study clearly shows that a virus that is not clinically symptomatic can still do bad things to the immune system and set the stage for an autoimmune disorder, and for coeliac disease in particular,” said study senior author Bana Jabri, M.D., Ph.D.
Coeliac disease affects one in 113 people in the United States, although it is believed that only 17 per cent of these people have been diagnosed. According to Coeliac Australia, the disease affects approximately one in 70 Australians. The disease is caused by a weak immune response to gluten which is found in foods such as bread, pasta, cake, cereals and biscuits. The researchers came across their findings when they exposed ice to a reovirus which caused an inflammatory immune response that made the mice intolerant to gluten. “We have been studying reovirus for some time, and we were surprised by the discovery of a potential link between reovirus and celiac disease,” said one researcher, Dr Terence Dermody. “We are now in a position to precisely define the viral factors responsible for the induction of the autoimmune response,” he said. The researchers said exposure to the reovirus studied among infants could lead to a long-term gluten intolerance. “During the first year of life, the immune system is still maturing, so for a child with a particular genetic background, getting a particular virus at that time can leave a kind of scar that then has long term consequences,” said Dr Jabri. “That’s why we believe that once we have more studies, we may want to think about whether children at high risk of developing celiac disease should be vaccinated,” Dr Jabri stated.